RS485 isn't easily available on a development PC and standard 232/485 converters often don't handle the transmitter muting. This little box provides the conversion and the filtered supply - using an external power supply of about 10..12V. While the main controller in your industrial installation usually will "talk" RS485, a PC usually won't. 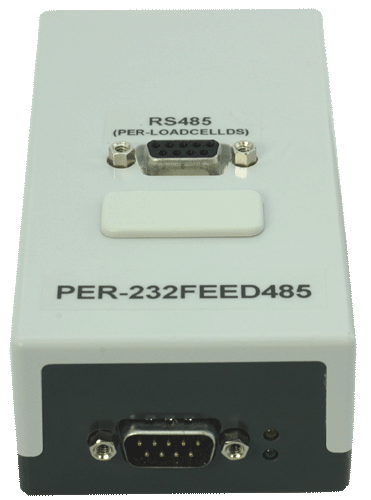 To get your test site up and running quickly, get "232FEED485" and start calibrating.